Discover your inner child once again in Weave a Circle Round, a debut fantasy adventure for fans of Madeleine L'Engle, Diana Wynne Jones, and E. L. Konigsburg. Now nominated as a finalist for the Andre Norton Award for Outstanding Young Adult Novel! “The house on Grosvenor Street is sold again,” said Mel, and gooped yogurt onto her Cheerios, disgustingly. KARI MAAREN is a Toronto-area writer, award-winning musician and cartoonist, and academic. She created the webcomics West of Bathurst and It Never Rains, and is also known as a musician for her popular song "Beowulf Pulled Off My Arm." 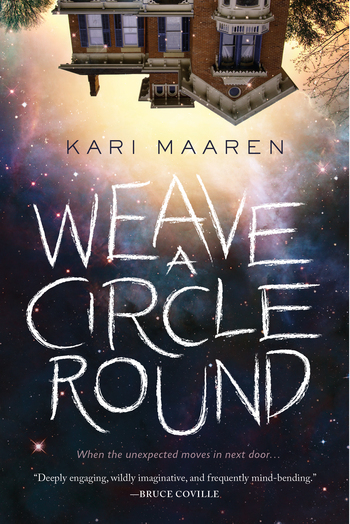 Weave a Circle Round is her first novel.